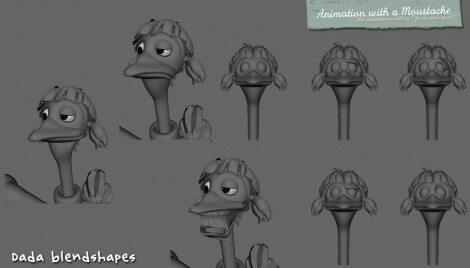 Ever wanted to participate to a one hour one-to-one Q&A with an expert in a field related to animation? There will be a free beta test for the first 5 people who sign up next week after the official announcement. After many years, my friend Maciek finally finished his short film “Yummy”. 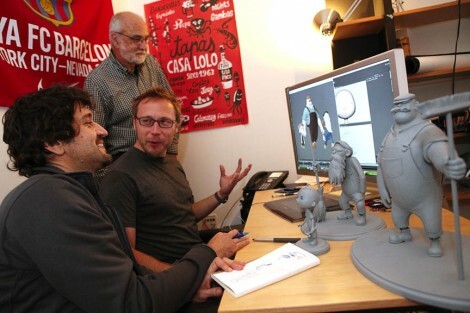 Pixar’s story artist Enrico Cassarosa wrote a nice series of article where we follow him for a day, during the production of his short film “La Luna”. One thing that surprised me was to see Mudbox being used at Pixar. I thought they were still using that stylus and digital arm we have seen in the past but it looks like they have now fully embraced digital modeling and chosen a tool that doesn’t try to reinvent the wheel. No Zbrush nonsense here. I wonder if they also use 3d coat or Topogun. The series of articles starts from the following post and you can access the next ones by clicking on the link above the posts to the right, “9am off to work” being next. 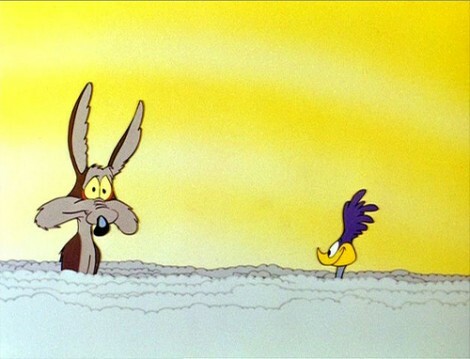 Doing some research for my shortfilm, I went through the first twenty of the 49 Wile E Coyote and Road Runner short films and it saddens me to say….. I didn’t break one laugh. The worst is that those were all directed by animation legend Chuck Jones, a man that is wildly accepted as one of the funniest men in the animation industry. Despite the great Carl Stalling soundtrack, gorgeous stylized Maurice Noble backgrounds, the crazy animation, brush work and comedic timing, nothing helped. I might have smiled few times to how Chuck Jones played with our expectation on the final gag but I didn’t find anything worthy of a laugh. The Wile E. Coyote series came out at the end of the 1950s and was probably really funny at that time but I feel that the humor didn’t age well. Would this be due to the fact that, he … invented it all? So many variations have been seen for the past 50 years that maybe we have now become desensitized to the original material? If you want to do the same test you are in luck, Youtube user CoyoteAndRoadRunner uploaded pretty much all the shortfilms, by chronological order, to his channel . While watching the shorts, one thing struck me…. For some reasons, Youtube kept suggesting the viewing of a series of candid/hidden camera gags and I eventually did. Man, I didn’t expect what would follow. After only watching one video, I was in stitches. “Just for Laughs Gags” is an hilarious Canadian secret camera show using all the comedic elements of cartoony pantomime. The gags are beautifully set up, staged and acted by a cast of very likable characters. Even with the inevitable “background laughs” muted, it is impossible to resist laughing hysterically. For comparison, here is a selection of Chuck Jones directed “Wile E. Coyote” short films followed by “Just for laughs gags”. See what you respond the most to. Maybe you will differ from me but if not, we need to rethink what constitutes comedy in animation. Since animation work is pretty scarce at the moment I have decided to put all my modeling work together just so I can apply to 3d modeling positions. Those are props for a long overdue short film, personal work, professional work and character design studies. 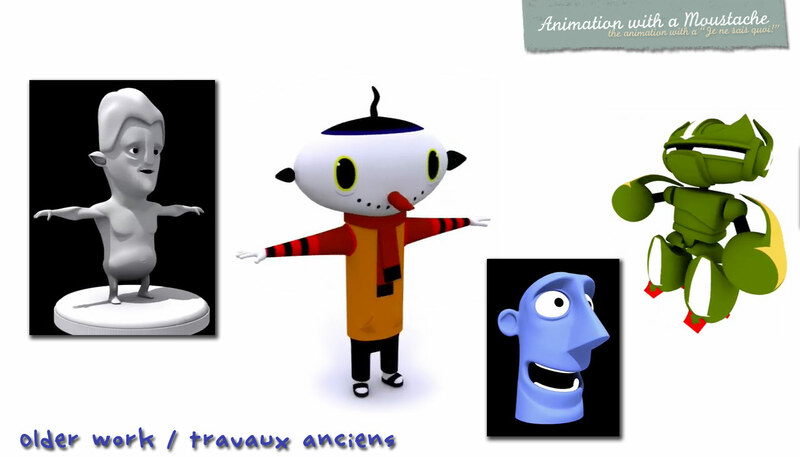 The work was done in Maya 2009 for the most recent pieces, 3ds Max 5 for the rest. 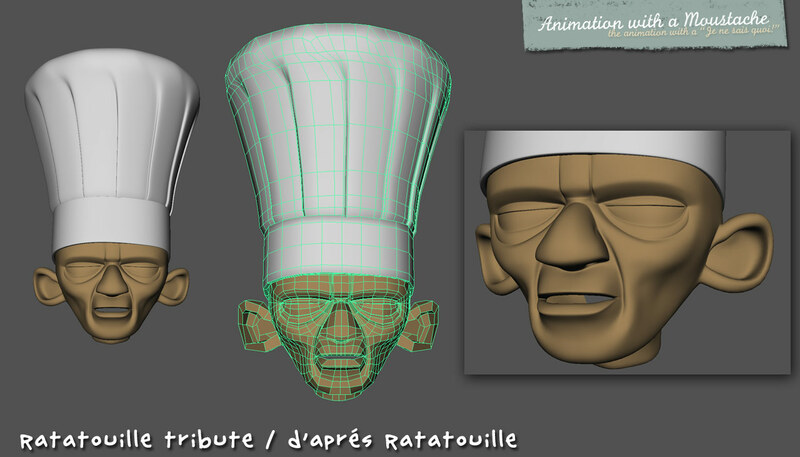 The Pixar related models are obviously fan art as I have never worked on Ratatouille or Brave. 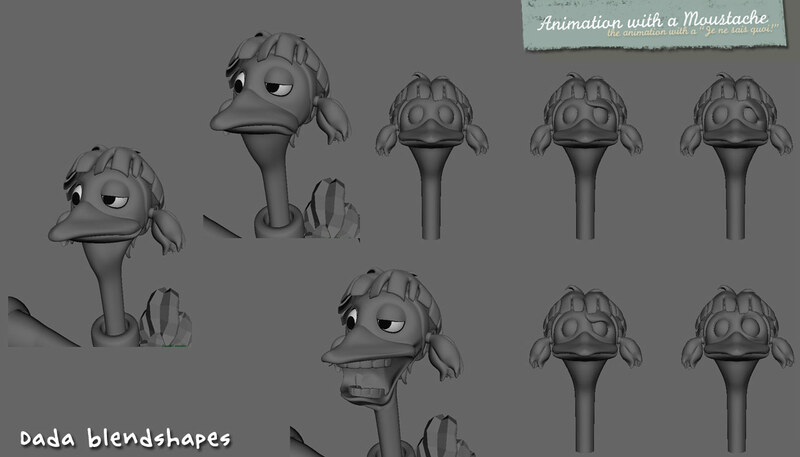 I only did those to get a better understanding of Pixar’s character designs, wireframe edge flow and rigging (articulations). During a recent visit to French sculptor Bourdelle’s museum in Paris, I was reminded it is how the best artists learnt their art, by copying the masters. 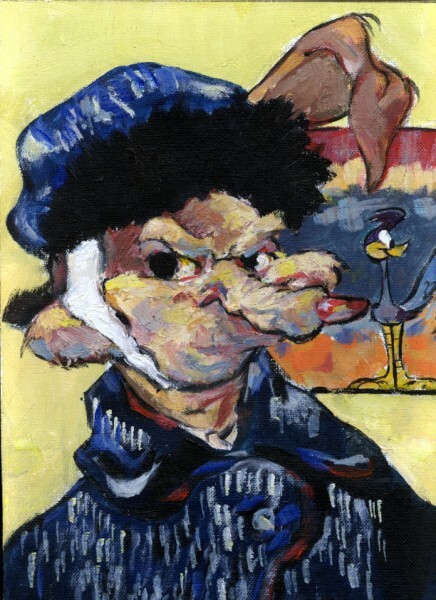 Michaelangelo was a great source of inspiration for Bourdelle, Daniel Lopez Munoz is mine. 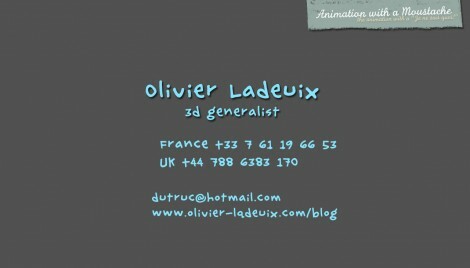 Download the PDF version if you prefer Olivier_Ladeuix_modeling_2011.pdf or click the pictures below to zoom in. 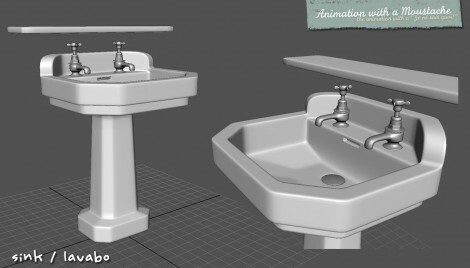 You will probably find a timelapse video for most pieces in the “Related Posts” section at the end of the post and I would suggest their viewing to anyone wanting to learn about CG modeling and clean edge flow or just to see wireframes. 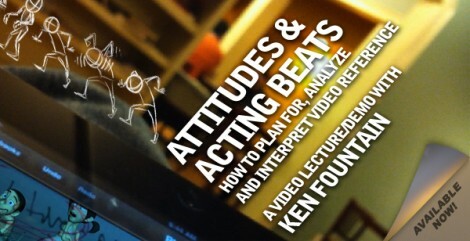 Ken Fountain just released “Attitudes and Acting Beats”, a new video tutorial at the incredible price of $10.99. Judging by the official blurb and teaser, that one is probably more about acting and motion analysis so it should appeal to everyone from beginners to professionals. 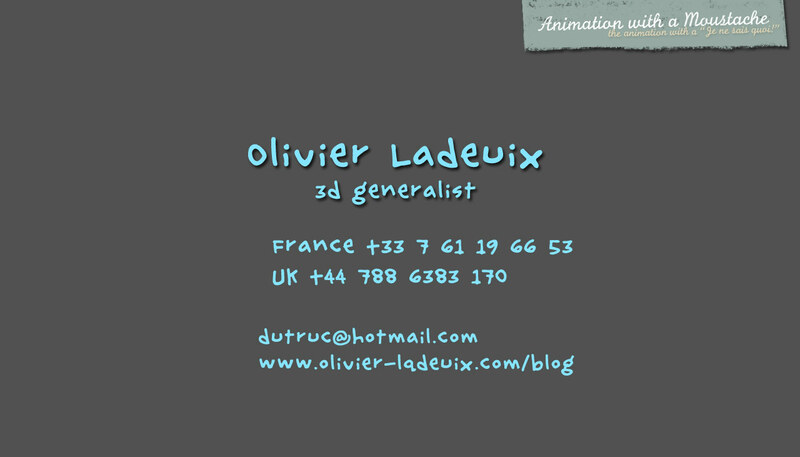 If you want to become a good animator, do no hesitate to buy that tutorial. At $10.99, don’t come up with silly ideas and tell me you can’t afford it! Ken Fountain worked on many movies at Dreamworks, graduated from Animation Mentor and is a current teacher at Ianimate so you are getting way more than a 90 minutes video. I haven’t seen the tutorial yet but seeing all the effort he put into the last one, that one is a must buy. The new video is officially released! Whew. My intent was to be able to focus on some of the specific areas of my process that people had asked me to elaborate on, and hopefully introduce some new ideas as well. So, in that light, this 90-minutes of lecture/demo is devoted entirely to the planning, video analysis and blocking processes, and the tools and concepts I use to execute these phases with consistency, clarity, and hopefully emotional appeal. This video is heavy on analysis. I get very specific regarding the structures I use to breakdown a performance and turn it in to pose-able emotional moments; like text, context and subtext, a structure I use to really understand my character and their circumstance; and the pillars of my workflow – attitudes, beats and textures – to create the right body language and interesting rhythms I need to engage my audience. I also take the opportunity to go deeper in to the concept of character centers and how that can greatly effect you character’s movement as well as the graphic quality of your shot’s staging. And, as usual, you can watch my approach to staging and posing for a specific shot; one that I will carry through to the next two videos. Thanks again for all of your input. I hope to be able to address it all over this 3-part series. And keep them relatively affordable (only $10.99!). My buddy Oasim just posted a turn around of a really nice car he modeled a while back. 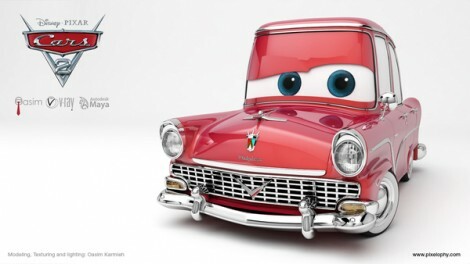 It is a very nice tribute to Cars2 and I think it should be included in any Cars sequel! 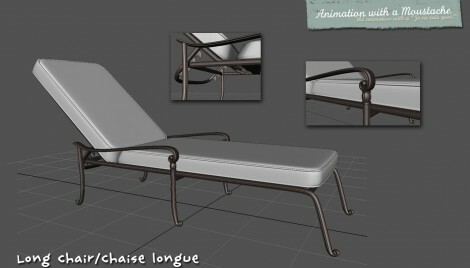 If you are interested, he also posted a behind the scene and full tutorial for Maya and Vray. Look at what we got today! Elliot Maren just sent me a link to that great short film he made with four others ESMA students. Electroshock is a very good looking 8 minutes shortfilm done at French animation school ESMA and YES! it is not a FREAKING CHASE!!!! It is good to see that students still care about storytelling and acting. The shortfilm is probably inspired by “Cloudy with a chance of meatballs” and it really matches the visual quality of Sony’s movie. I especially love the colours they put in the shadows and how they handled the SSS. 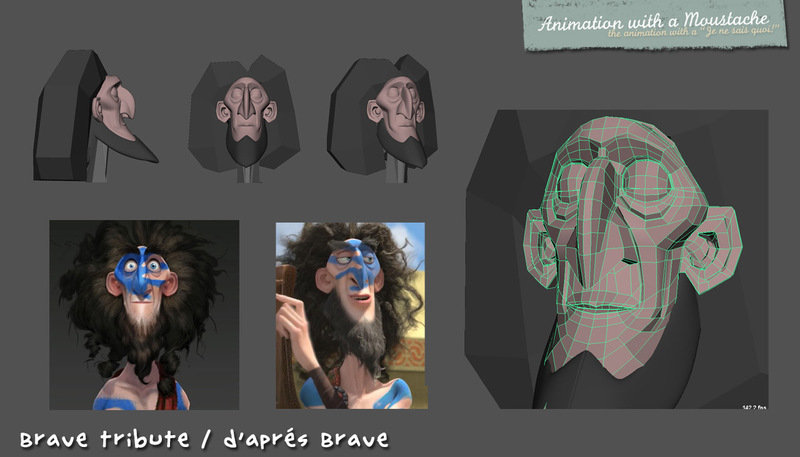 I have featured several short films from that school already and it is good to see that Gobelins and Supinfocom have a really strong competition. [update] We don’t have a website/blog or Making of but see what I just found! [update] the problem is fixed! It is due to the misleading Adobe’s Microsoft AVI format which overrides anything you do and makes your video blurry. 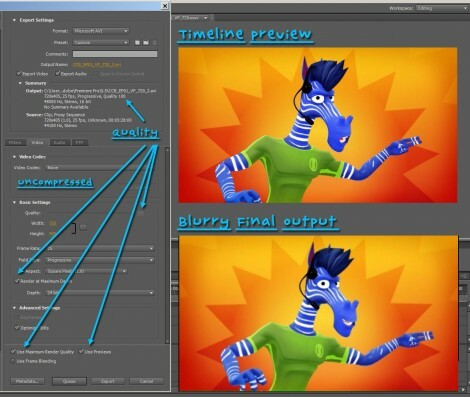 When creating your project, use “I-frame only MPEG” for example, instead of that weired Adobe Microsoft AVI format. I have been using Adobe Premiere since version 4.2 and as I bought a new fancy 64 bits laptop, I decided to upgrade from Premiere CS2 to CS 5.5 but it is driving me crazy. As you can see above (click on the picture to see it full screen), Premiere 5.5 doesn’t seem to be willing to export a video to an .avi file with no compression to it. I have tried every possible option, did a fair amount of research on Google and Youtube but I can’t find any help on why Premiere is making my footage blurry when I am asking for a straight uncompressed video file as seen on the timeline. Has anyone gone through the same thing? If I have to spend one more day on this I will have to revert to Premiere Pro CS2. Ah and the Uncompressed AVI option they have now is just a disaster waiting to happen, what were they thinking? How many people got fooled into thinking it was actually an …. uncompressed AVI option! ;-) I wonder if software makers ever have users test their softwares nowadays or is it the result of the current recession?